Jubilant Industries Limited has one of the largest manufacturing capacity in India for Chlormequat chloride. 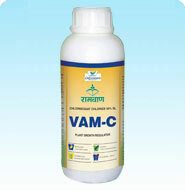 VAM-C chlormequat Chloride 50% SL is a plant growth regulator, which normally induces retardation of shoot elongation and vegetative growth in most crops. 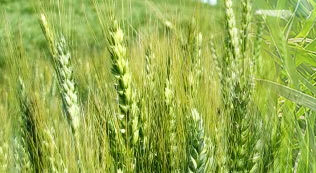 However, in certain crops it may manifest itself in a different manner which may be used positively. 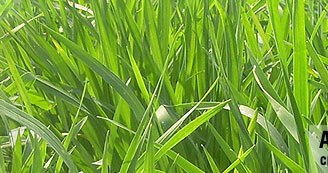 The product has been used to improve both yield potential and quality of crops. This is extensively used in agriculture to increase crop yields by retarding the unwanted vegetative growth of the plant and for diverting the energy of the vegetative growth towards the development of flowers and fruits/grains. Its beneficial effects manifest themselves in increased chlorophyll content, extensive root development, strengthening of the shoot, early and uniform ripening and prevention of fruits and flower drop. It also helps crops to effectively cope with environmental stresses such as drought, flood, heavy wind and also during the process of transplanting. Spraying should be performed in calm weather. The recommendation time for spraying should be strictly adhered to, in order to get the desired benefits. Applied to all vegetables before flowering and second spray after 15 day interval. Max. 2 spray. Grapes applied after 8 days of pruning & a gap of 7 days for repeat dosage. Mango 1st spray between 15-30 Dec. and 2nd spray after 1 month.